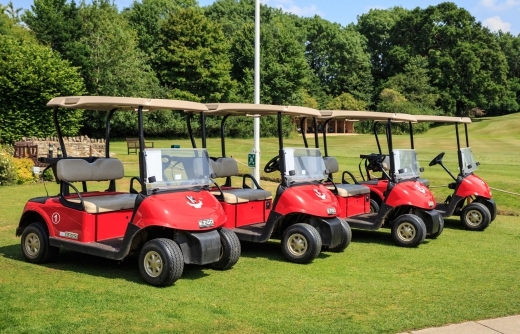 NEW GOLF BUGGIES Available to hire at £23 per round. We have a very well established reputation as being excellent hosts and the number of groups who re-book year on year is testament to this. Our location, our stunning parkland course and our delicious food make us an ideal venue for a fantastic days golf. To discuss your specific requirements, please call Ryan on 0117 9770660 or use the Enquiry Form below.